It’s that time of year again! The party you’ve been waiting for is just around the corner! 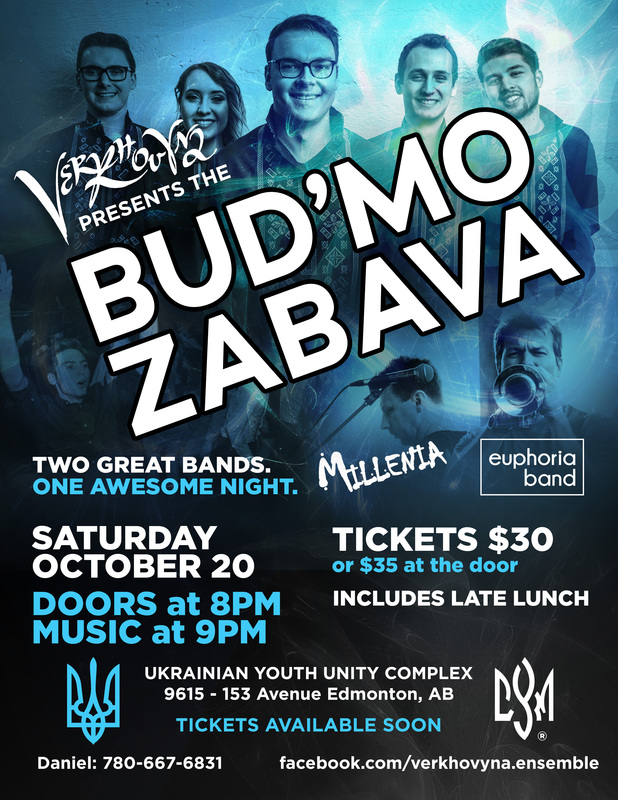 Join us for our annual Bud’mo Zabava featuring Millenia and Euphoria! 2 bands back to back! A night full of polkas.. does it get any better than that?! Purchase tickets in advance for $30. Limited tickets will be available at the door for $35. Attire is dress to impress! Leave those jeans in your closets for another night. Tickets available now! Call/Text Daniel at 780-667-6831 or any Verkhovyna choir member or Dunai dancer!